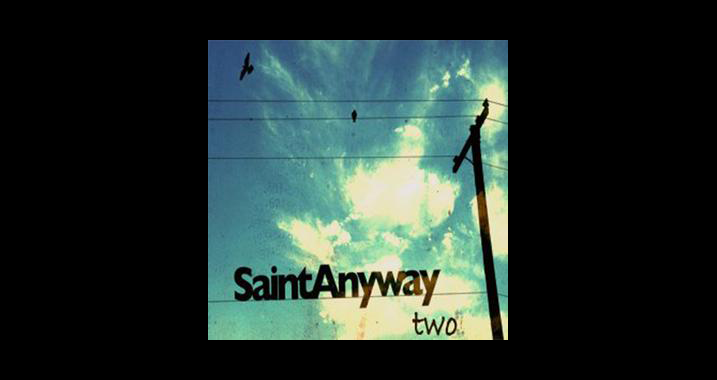 The trio known as Saint Anyway calls their music stomp grass, and it’s very apt for their album Two. Comprised of 12 tracks, you are treated to an eclectic mix with elements of country, bluegrass, folk and some truly remarkable work with guitars and banjos. The trademark sound of the band is there, but traces of growth and maturity are evident in the lyrics too. Back to the Start Again sets things off, a cheery track that talks about relationships and starting over again. It’s a recurring theme, and here the lyrics are complemented by excellent guitar work and melodies. Next is the catchy Goodbye Carolina Rose, which despite being upbeat actually deals with heartbreak. With its infectious melodies and rhythm, it’s one of the standouts in the album. Lyrically, Supernatural Wine is one of the most complex in Two. The song deals mainly with religion and it’s thought provoking as well. Another Song is also a deep one with emphasis on change and developing courage, and these are delivered with some really impressive string work. Classic bluegrass and banjo are present in Revelation Bluegrass and it’s a fun uptempo ditty. Mississippi Mile is another invigorating track, with an irresistible chorus that fits nicely with the outlaw theme. The band returns to the matters of heart with Trouble and Worry. Layered atop the strings are some fine lyrics about dealing with difficult relationships, and it segues nicely into Operator , a solid number on its own but also mirrors Another Song in terms of subject matter. I’ll Never Be the Same is as much about relationships as it is a classic folk country ditty, and Paper Town is deservedly one of the band’s best known songs. Slower than the other tracks, Paper Town is a fine example of blending bluegrass, country and folk. Washington was written in happy times and it is apparent in its bright, happy atmosphere. Lastly there is 12, what the band calls “unfinished” but is as enjoyable as the other tracks.